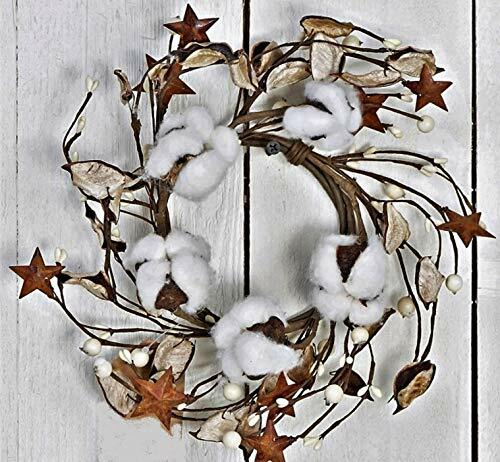 JMB Autumn-Christmas Cotton Ball, Leaves, Pip Berries, and Metal Stars Buyers' Choice of Garland OR Candle Ring (8'' Wreath or Candle Ring) by JMB at KXSH 365. Hurry! Limited time offer. Offer valid only while supplies last.